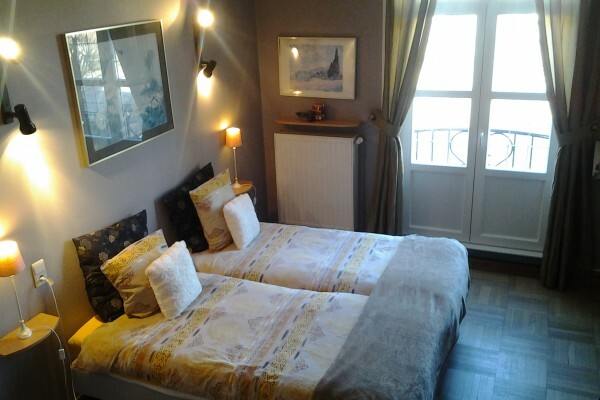 Our family hotel is located on the market place (free parking) of Watou. When sunny, you can enjoy the beers of our 2 breweries on the street terrace. Every room has its own toilet, sink ad shower. Towels and bath-artices are also provided. 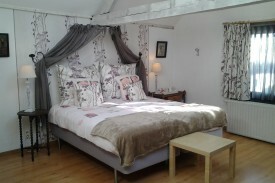 All rooms heva singlebeds, except 1 room has a doublebed. 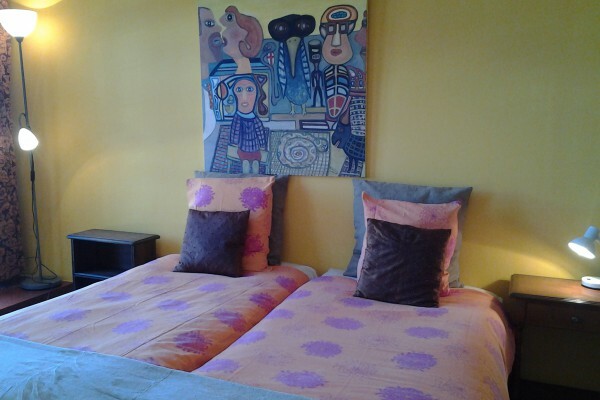 Price per room (2 adults) is 87 euro per night, breakfasts included. Price for single use is 65 euro per night, breakfast included. You still need to add 1,50 euro per person per night tourist taxes. To be sure about closing days and holidays, please send an email. We accept Maestro, Visa and Mastercard. Breakfast is served as a buffet on the 'voute', semi-floor at the back of the house.When the wheather is fine, you can enjoy breakfast in the patio. You can bake or boil your egg in the way you wished it would be. You can press your own orange juice. This is all possible between 8.30 AM and 10.15 AM. We cas discuss other timetables. 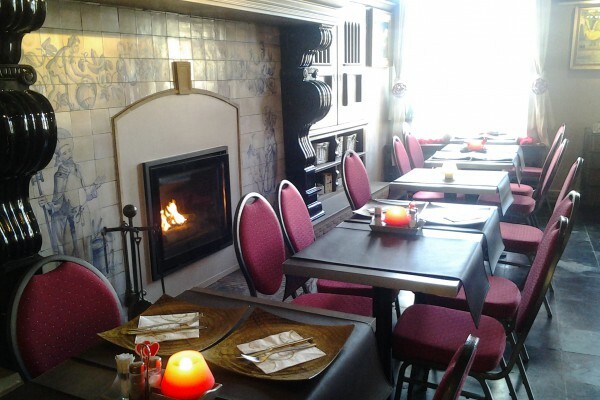 We serve aswell a daily dish at 12 euro per person as delicious homemade and regional dishes. During season (July and August) kitchen is open from noo till 9 PM, closed on Mondays. During the other months, the kitchen is closed on Mandays and Tuesdays. During the week then kitchen is open from noon til 7.45 PM. Then also, in the weekend, the kitchen is open from noon till 9 PM. We serve during weekends the last drink at 10.40 PM, we close at 11 PM. Durings weekdays, last order is made at 8.40 PM, we close at 9 PM. You can park your car for free on the market place in front of the hotel. We don't have a car park. Big pets are not allowed in the hotel. The conditions for small pets are to be found on our website. Smoking is not allowed in the entire hotel. There will be an elevator starting from may 2018. The rooms are not accessible for disabled persons. No experiences yet with Het Wethuys . Be the first! Did you stay in Het Wethuys ? Let us know what you thought about it and help others to make the right choice! * I confirm having stayed in Het Wethuys . Find other charming hotels in Watou, all charming hotels in Westhoek (Ypres) or all charming hotels in West Flanders.